What can we do to add more beauty even though our yard looks great from good maintenance? There are many things to accent a yard with. Just consider adding things that are pleasing to you and most likely it will please the next person. My yard beautification ideas may or may not be to your liking but it will set an example of being creative in your own way. Some people like to lounge around in the front yard and some in the backyard. Either way, it is very relaxing and pleasurable to do. We often entertain guest in just one or both the yards meaning front and backyards. 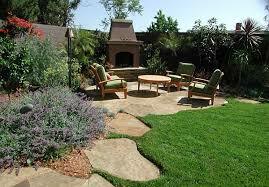 This compels us to make our yards comfortable and pleasing to the body and the eyes. Wouldn’t it be great to have somewhere to lounge around outdoors that will give you that great outdoors feeling as well? 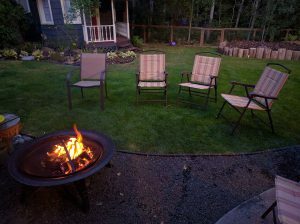 How about adding some outdoor fireplaces or fire pits? Touch it off with some beautiful outdoor furniture and you will have set a great ambiance when the evening sets in. People love it when the atmosphere is cozy and warm while you are chilling out and talking about this and that. The fire will put everybody in a calm and will be great eye candy for everyone that is present. No, I don’t mean hanging decorations all over the place if that is what you are thinking. 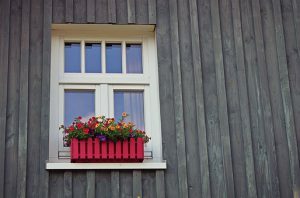 We can decorate by adding some window planter boxes with some nice flower arrangements. You can also put some flower beds around the base of the home in different locations about the yard as well. It gives off a nice look to the yard and adds another point of focus when people are admiring. Feeding wild birds is actually a hobby that can add a beautiful attraction to your yard area. The colorful and singing addition to the atmosphere will be a treat in those daytime moments. And especially for those who never really witnessed such a set-up that attracts some wildlife. I am not an expert on feeding wild birds but I am sure it would fascinate me as well as the next person. 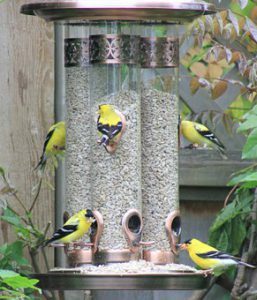 There is all kind of bird feeders that could match whatever type of theme your yard will support. 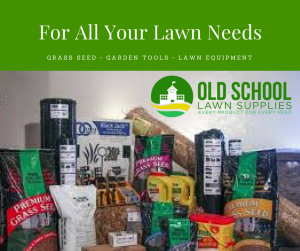 You can go to Old School Lawn Supplies and have a look around here on this site to see if anything catches your eye. So if you have had the thought about what can I do to spruce up this area, I hope this post gave you some good ideas. Toss it around in your head a bit and feel free to share your ideas and questions in the comment section. Thanks for visiting and I hope your yard turns out to be a place of sheer bliss. This just gave me an idea to build some bird feeders. That sounds like a good idea. There are many people who are gifted with wood making talents that can really turn a yard into a paradise. Let me see what you come up with. My mother always likes birds and I am sure she will like your wildlife attraction idea. I can probably find something she will like and it can be a perfect present for her. Very good idea. I think she would like it. Did you take a look around Old School Lawn Supplies to see if something would work for you? I encourage you to take a look. There are a few good items there I am sure you would like. Very nice site. I was wondering if you knew anything about maintenance on wicker furniture? Or in your opinion would it be better to stick with wood outdoor furniture? In our case, bird feeders have been fun because the birds come and dive bomb the cats. So far they’ve (the birds) have been winning. Good luck with your business. And if you have a chance, please let me know about the wicker furniture. I bet seeing those birds dive bomb the cats would be cool. I am not real knowledgeable about wicker maintenance. Me myself if it looks good to me I would pick it. 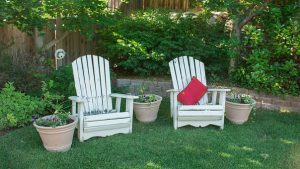 I figure outdoor furniture will deteriorate over time so I would be prepared to upgrade every two or three years. But I will see what I can find out. This is wonderful for someone like me who loves to be outside. It’s coming into winter in my part of the world, so that fireplace look is exactly what I’m after. Thanks for the great ideas. Glad I was able to give you an idea Shirley. I bet your yard will be the place to be if you do put a fireplace in. Shoot me a picture if you do. I would love to see the outcome. That I am aware, in UK people do not like to gather on the front gardens – possibly though this may be due to lack of space, where I am aware that houses in the States have space for a front porch, which can make a nice sit down area. Personally, I prefer the privacy guaranteed by my back garden. You propose an array of wonderful ideas Ronnie. From garden furniture to bird feeders, you are right, they make such a nice and relaxing environment. May I add, I have also seen about wooden feeders which attract ladybirds or other wild ‘creatures’. Very nice too! Thank you for the extra information on feeders. I am sure more people love to hear others ideas as well. Sounds like you are a little bit of a wildlife observer. It’s pretty nice, isn’t it? The birds really do add an attraction to the yard. One other person likes how the birds in her yard dive bomb her cats. Well, have a good summer season and thanks for visiting.